If enough air is not drawn into the property, to replace the air that went up the chimney, you'll have problems. Very quickly the property or room will become a vacuum and smoke may decide to exit the stoves air vents to fill that vacuum. In new build properties, or properties likely to be as airtight as such a property, there MUST be a PERMANENTLY OPEN air vent within the room (venting to outside). It should not be possible to close this vent and it should be sited in a place where a householder is not tempted to cover it up. output of the stove (this being very approx. 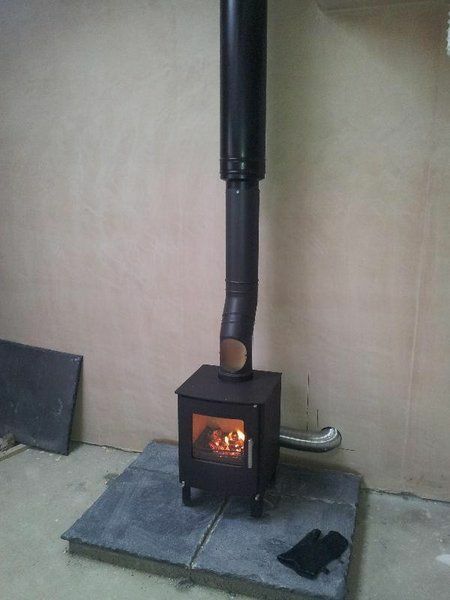 equivalent to a 50p piece for each KW – so a 5kw stove requires an area equivalent to 5x50p pieces). The exact figure is 550 square millimetres of vent hole per kw of stove. A square hole 3cm x 2cm is 600 square millimetres. A 50p piece is 594 square millimetres. In older properties “that are not deemed as particularly airtight” then the rule is the same but you get the first 5kw free. In other words a 5kw stove has no air vent requirements, whilst a 6kw requires one 50p sized hole, a 7kw two 50p sized holes (or equivalent) etc. If you want to know whether your property is of the older “not deemed airtight” variety? Then you would need to measure the air permeability (as if anybody is going to do that unless they know what they are doing). If air permeability is greater than 5.0m³/h.m² then you can stick with the more relaxed air vent rule. It is very doubtful that a house built before 2008 would require the strict air vent rule unless it has had work done to strive to make it air tight. If the property was built after 2008 then really this test needs doing (or fit the more strict vent anyway). Should a stove not perform as expected then a lack of air vent is one of the first things to check. Open a window to outside – if the stove’s performance immediately improved then more air into the room is required. Do not site an air vent where the trail of air from the vent to the stove will pass where you sit in your favourite chair or where the dog sleeps. Air moves from the vent to the stove so think where that flow of air will be in the room. 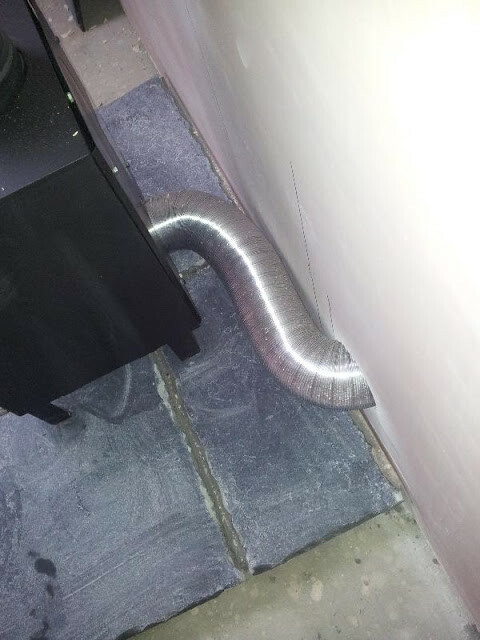 If you really do not like the idea of an air vent but one is required – there are a few stoves within the market with integral air vents, (a pipe travels direct from stove to outside) and there is no hole in the wall to leak building heat. If your floor is of the suspended type (wooden with a cavity underneath) it is probable that this under floor area is vented and you can put an air vent into the floor (even if there is carpet I have done this). If your property has thick stone or rubble walls (Wales has loads of these) then drilling a hole may not be possible. In this situation I have taken small window panes out, converted old cat flaps, drilled a dozen 1cm diameter holes in a window frame (and covered with a trickle vent cover). My Building Control contact says trickle vents can be used but they must not have fly screens and must be “glued open”. Whatever it takes must be done. 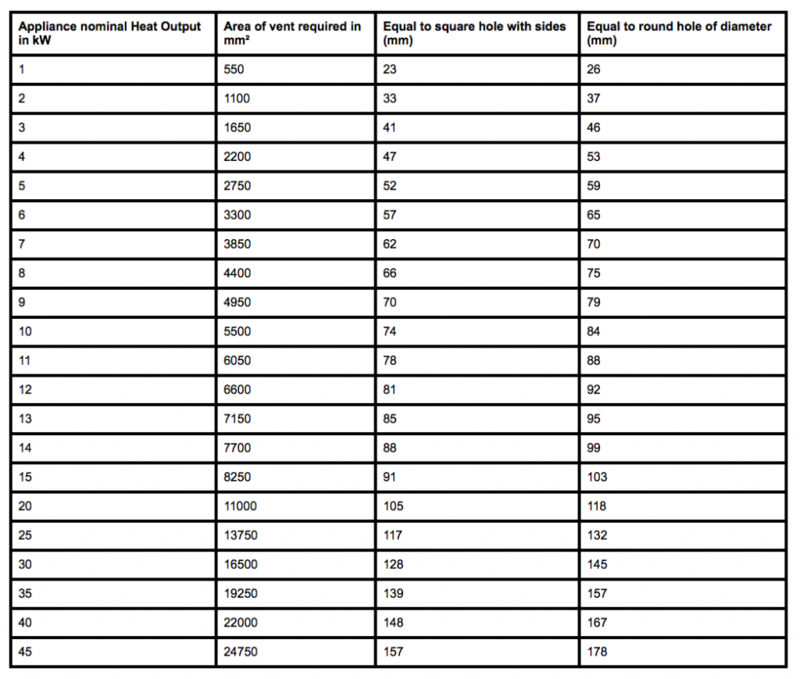 If you use the figures below remember that, for a room that is not a new-build, you get the first 5kW “free” (so for a 6kW stove you only need an air vent for 1kW from the chart below).